Beauty Sleep & Counting Sheep…. It’s been a few interesting couple of months and I think a little bit of over thinking has put me into sleep insomnia overdrive. To be honest with you, it’s been a long time since I remembered actually having a full night’s sleep. Most people I explain this to, don’t know how it is I can actually cope throughout the day. Since falling really ill this year, I have had to address my lack of sleep and hit it on the head. I recently put this on my Instagram not too long ago when I discovered these gems. A very lovely friend of mine had to stage an intervention, when I was really struggling to get through the day. She went out and got me the English Tea Shop Sleepy Me Tea and along with it, the Febreeze Sleep Serenity Bedroom Mist too. I’m eternally grateful to her as these two products have revolutionised my sleep habits. 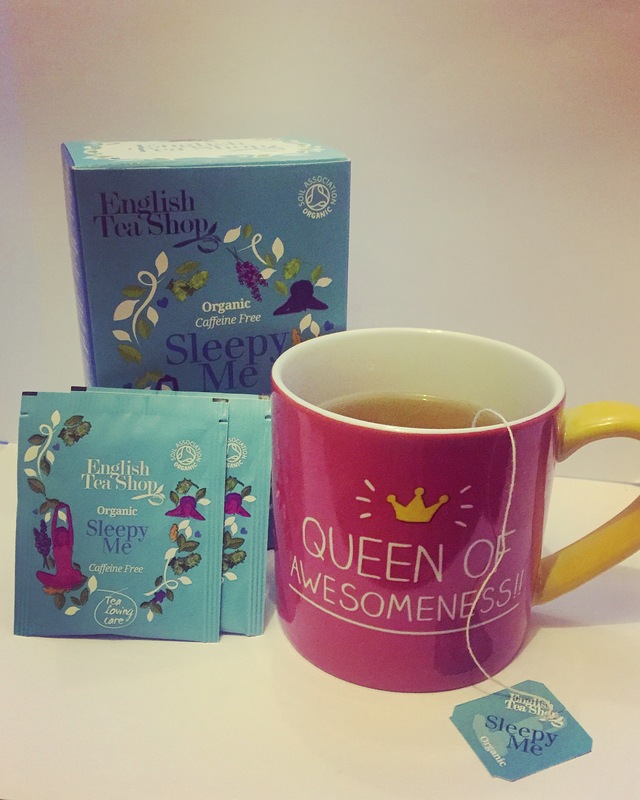 An amazing blend of tea with key time-honoured sleep aids including organic Lavender, Hop and Valerian roots. This lovely concoction of ingredients is combined with an organic lemon balm to create a gentle calming effect that aids sleep and a wonderful taste. The bedroom comes in Moonlit lavender and I can honestly say, it smells absolutely divine. 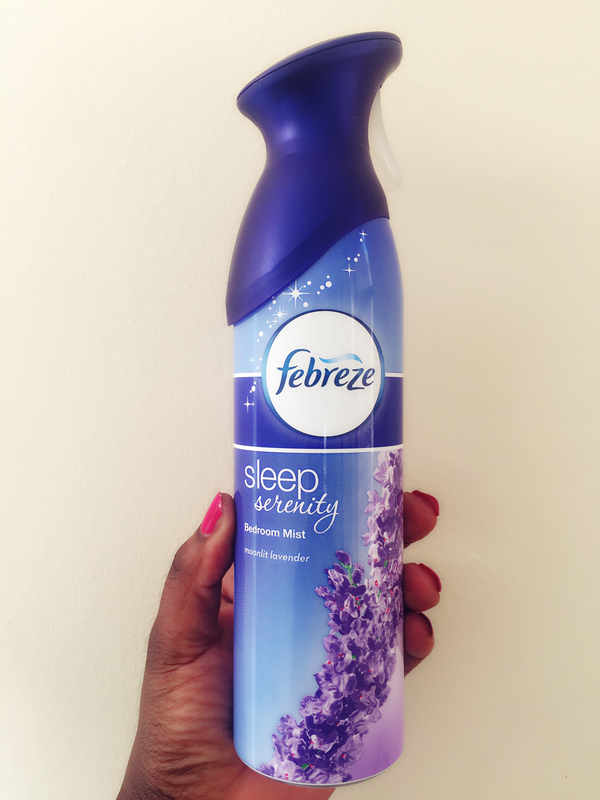 The descriptions sates that it provides a relaxing retreat for the senses that improve the quality of your sleep; and this is exactly what it does! This combination of products has become my go to life saving remedy for all things sleep related. I know lack of sleep may not be everyone’s bug bear, but I thought I would share these awesome products that have been absolute godsends. Caffeine is actually a stimulant, so it keeps you going even if you are almost Zombie like. I have a tendency to drink coffee because I feel that once I am up part way through the night just means sleep is never going to resurface. So this normally means a trip downstairs for a coffee fix. Gone are those days! I’m cutting it right down. Working on a routine has been difficult because of my crazy sleep patterns so I am going to be one of those boring friends who has a curfew for a while. This is good for the long run. I am working on pinning this down to finer detail and fingers crossed, this should help me gain more hours. My sleep issues haven’t completely gone, but I have gone from an hour or two a night to 4-5 hours of sleep. This is a remarkable improvement for me and I know with a lot of perseverance, I will be back to being normal and less of an insomniac. Coupled with all the other elements I plan on introducing and then Bob’s Your Uncle! I should nail it! Do you have any sleep remedies that get you to bed in no time? Care to share these with me in the comments section?